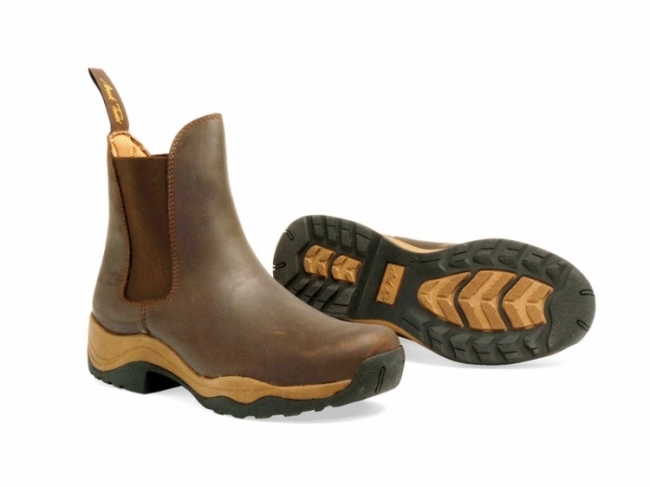 The Tasman boot is a classic jodhpur boot, ideal for everyday use due to its simple and convenient design, be that riding or as a general yard boot. 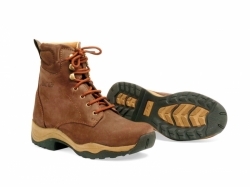 It is made from strong and durable nubuck leather with a waxed water repellant outer. It also features Derma Dry lining and a shock absorbing TDR inner sole, which is shaped to stimulate blood circulation and a light TPU sole. There is also a spur rest, elastic side gussets for comfort around the ankle and a pull tag for ease of putting on.